Digital scales, we’ve known a few. As you may be able to tell, we always have a few operating in rotation. 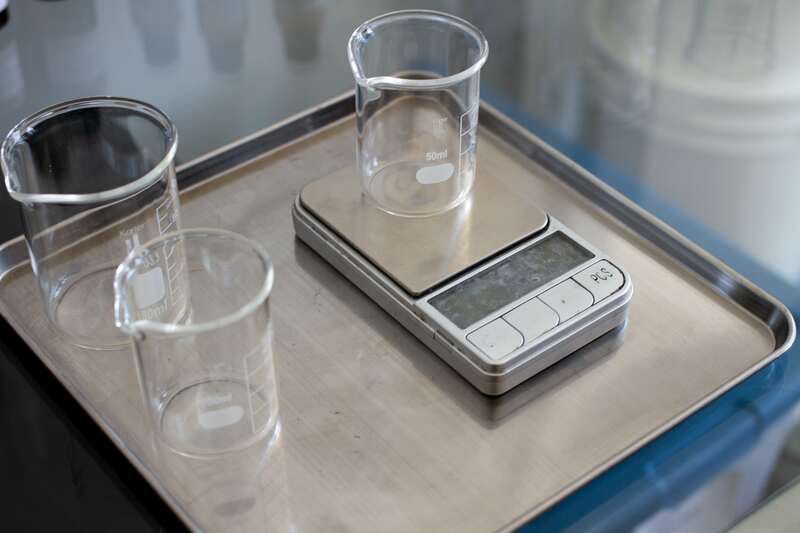 Most of the scales measure up to 100 g, some even measure up to 500 g, but what they all have in common is that they’re all finely calibrated instruments that allow us to measure to the hundredth of a gram. 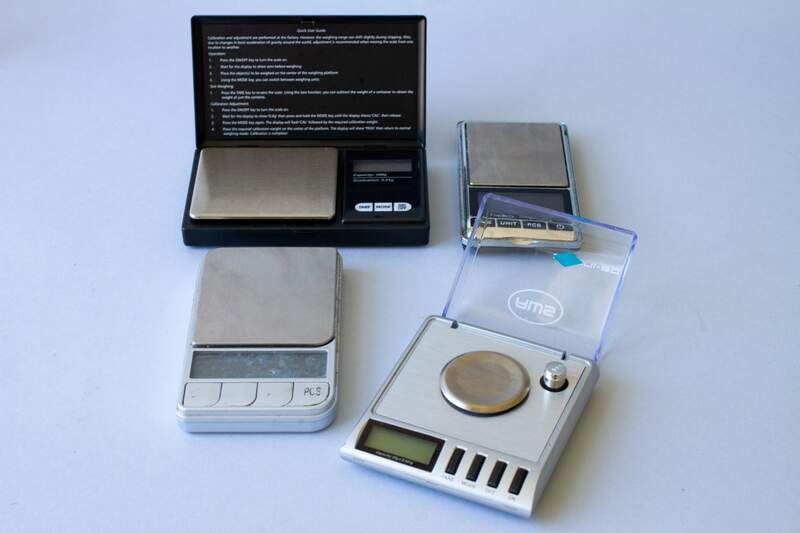 The level of precision afforded by these digital ‘pocket’ scales is, naturally, essential to the reproducibility of our fragrances across batches and time. Moreover, the ability to measure weights as small as a hundredth of a gram is important to us because some compositions may call for just a single drop of a given fragrance material (we’ll save the idea of ‘the trace element’ for a future post). 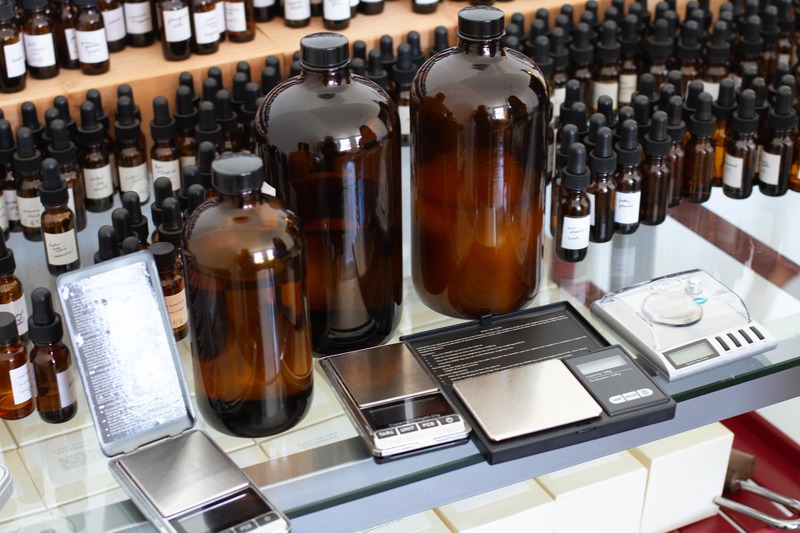 scales and stored liquids next to the perfumer's "organ"
Typically, the weight of a single drop from a pipette hovers around .02 to .03 grams depending on material. Precision in small measurements is the name of the game here. Who also relies on digital pocket scale for this reason? Why, gem buyers and drug dealers are just a few fellow enthusiasts that come to mind. Get all of our studio-made fragrances at once with our sample set, which ships free. Subscribe to our mailing list (below) for instant updates, private sales, and studio tour details.